3 primary schools in Ngara harvested a combined 1,377kg of beans from their self-reliant school breakfast farms. The beans will be used as part of SODAT’s program to provide sustainable school breakfast to primary schools. Mukibogoye Primary School harvested 840 kg from 2 acres. 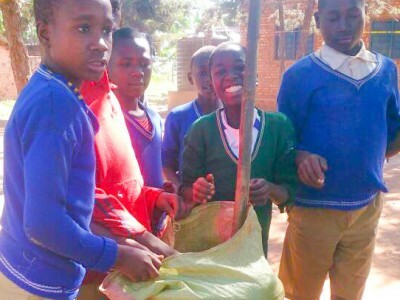 Mukirehe Primary School harvested 675 kg from 1.5 acres. 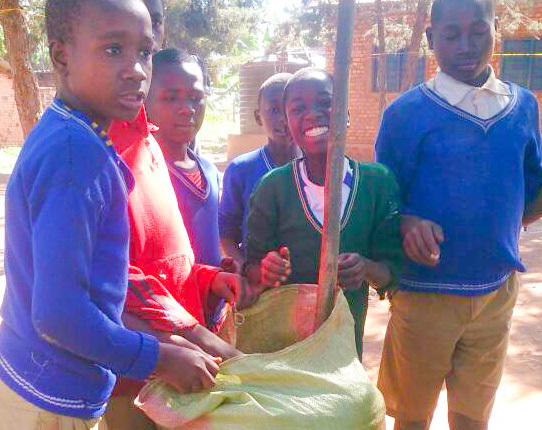 Kabalenzi Primary School harvested 1,014 kg from 2 acres. Each school started with a small farm as a small-step trial. Through the trials SODAT and the school learned value information about the inputs and outputs per acre of farm. The information will help them plan larger farms in the future. No school met their harvest goal. Schools hoped to harvest 800 kg per acre, but heavy rains caused rot which reduced harvest amounts. This experience has cued SODAT to begin planning risk mitigation strategies for school farms.